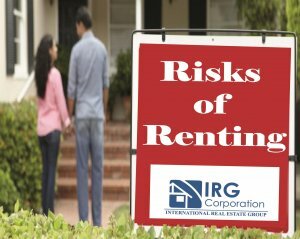 Although this must be known in advance, many times when you invest in a property to rent you can find expenses that you did not have in the budget which could disrupt your economy such as repairs, evictions or other inconveniences. You should always be aware of this because otherwise, you will not be able to gain anything from what you are doing. Incredible people are everywhere, but also, we must consider those annoying or problematic tenants that you want or not, they will be part of your life. Doing an investigation to those who choose your property is a good idea, but, the most important thing is to have patience and learn to handle all kinds of personalities. The competition in this section is quite large, as in all real estate, so it is essential that you know how to position yourself better than the rest to avoid spending too much time without making any profit. Look to make a difference to attract potential tenants and avoid losing money that you could use in other things. They can be as good or bad as the market says, so know that the benefits will not be too stable because the market is not, it will allow you to better understand what you are about to do and in this way draw up plans that will help improve your situation. All this will depend on the laws that govern your state, the payment method or the different rates that involve a rental property. This can cover more time than you could have, for this, know that managing a property for rent is a matter of patience and perseverance will provide you with the ability to establish sufficient time to address all that this entails. It is necessary to know everything that involves a project of this type and more when talking about money that can be lost or earned, it is not easy to own rental properties but there are those who see it as the best possible option and even, they are It gives better than another type of investment, so, once you know all the necessary points to take this step, the only thing that remains is to dare so that with dedication and effort you begin to see the gains. Ley De Impuestos para Extranjeros!